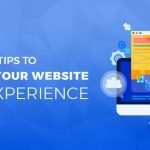 Why Responsive Website Design is a Paramount in 2018? In today’s World, people have access to more data than ever before, and it’s all because of the Internet. But, people are no longer just searching the web on a desktop – they are using laptops, smartphones, tablets, and even smart TVs. So it’s essential that your site opens in all the mediums used for surfing the internet. The designing format is called as Responsive Web Design. In simple it can be explained that your web pages morph themselves into the size of the screen in which it’s being viewed. Responsive design is the big thing in the website development and will make your site mobile friendly and also easily accessible on screens of any size. 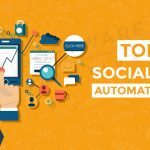 It also helps in improving the rankings of the site. Why should you invest in Responsive Design? Maintaining separate designs for desktop and other screens are very difficult and also a costly affair. So if the web is responsive, then a single design is enough for different screens, where the site is viewed. You need to invest only one design and make it appealing to all the viewers. Changes can be easily made easily for responsively designed sites. You need not worry about making changes separately for mobile and non-mobile users. Changes made in one site will be automatically reflected in the other mobile websites. For any website user experience is very crucial. Your website should be so appealing that the customers need to get your sites once again. The website should be presented professionally. In responsive design, the content is viewed quickly and efficiently because the zoom and scrolling are eliminated, making the overall experience of the customer a positive one. Google has already announced that there would be rankings based on the responsive designs of the sites. Sites which are more compatible with all the devices have the more chances of getting ranking in the search engines. Not developing a responsive website for your business could be a severe problem. If your site is not compatible with all the devices, then there is a chance that you would be out of the market and business will go down. Therefore it’s necessary that you redesign your site to be responsive and have better viewing experience for your customer. To have your website redesigned into responsive contact our designers at RK Software Solutions. 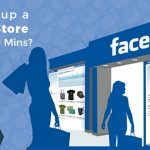 How to Setup a Facebook Store in Less than 30 Mins? 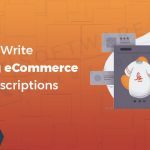 How to Choose a Good Name for Your Online Store?